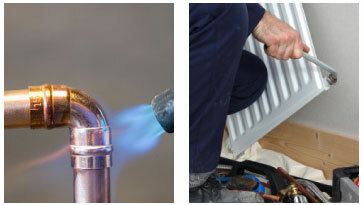 Over time Central Heating Systems can become a bit temperamental, they can sometimes make noises, radiators don’t fully heat up etc but don’t worry. Our engineers are experts in this field, it doesn’t always mean that your system needs to be replaced but with a bit of care and attention we can get your heating system back up to optimum level. Heating and hot water systems deteriorate over time, internal corrosion creates debris which can build inside the system causing poor hot water performance, noise, blocked pumps and inconsistent heat from your radiators throughout your home or business. 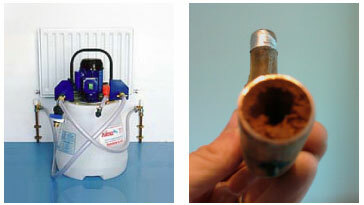 Power flushing your system cleans out the debris and adds quality inhibitors to help minimise any future build up. By 'cleansing' your system any built up sludge and or residue will be removed and will make sure that it works more efficiently. 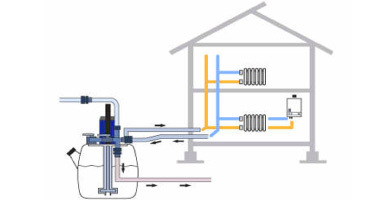 The cost of 'power flushing' starts from £250 plus VAT (Please note that power flushes will not remove blockages) depending on the type of system and number of radiators. 01242 676 831 and let us know the type of system you own, the age (estimate) and number of radiators.